Since we hadn't seen many owls, Yehudi took us to his friend's lodge near San Jose. 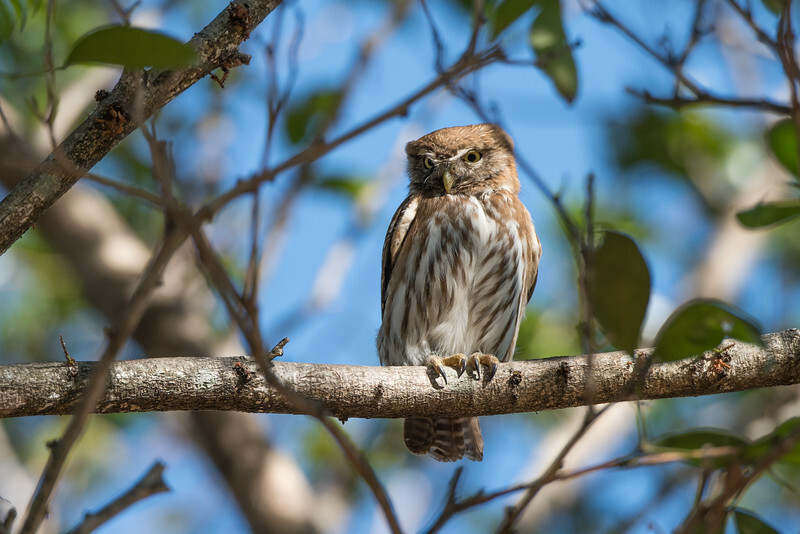 Pygmy owls live in the trees on the property. Unlike most owls, these tiny raptors (about 6 inches long) hunt during the day by sitting quietly and waiting for something to come by. They may be small, but they're ferocious.